Disgraced former baseball phenom Prospero Stark turns detective when someone leaves his former catcher's severed hand on the doorstep of his Airstream trailer. Leo W. Banks graduated from Boston College and earned a masters degree from the University of Arizona, where he later taught writing. He has written four books of Old West history for Arizona Highways publishing and co-wrote a book about the Grand Canyon. Today, Banks writes a column for True West magazine. 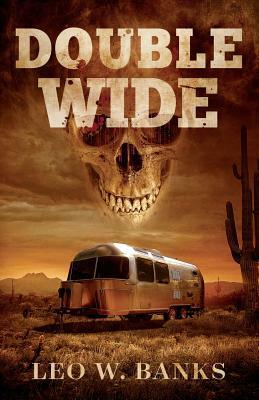 Double Wide is his first novel.